Select your gift certificate amount after adding this item to your cart. Any denomination available. You may select $25, $50, $100, $500 or type in any desired amount when adding it to your cart. You can have the BanksPowerProducts.com Gift Certificates sent instantly by email or postal mail and you have the option of adding a personal message. A Gift You Can't Go Wrong With! Looking for the perfect gift this holiday season but can't remember what the heck they wanted? "Was it an Exhaust System or Exhaust Brake? An Intake Manifold or an Exhaust Manifold?" 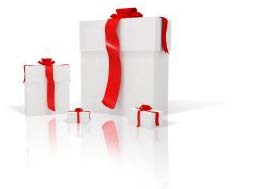 Avoid the confusion and the hassle of returning an unwanted gift by surprising your loved one or friend with an BanksPowerProducts.com Gift Certificate in any amount to fit your budget! These gift certificates can be sent instantly via email or mailed via USPS and are free to send. Add your gift certificate to your cart and select an amount. You also have the option of customizing by adding a personal message.